There has been much speculation over the years that Marilyn had an affair with JFK and his brother, Robert Kennedy. Here, we’ll break down the reasons why this is likely or proven untrue. Rumour: Marilyn Monroe and John F. Kennedy engaged in a long-standing affair/had a child together/Marilyn thought JFK would leave Jackie Kennedy and she would become First Lady of USA. Truth: Marilyn and JFK were in the same place, at the same time on only a handful of occasions. At the JFK Birthday Gala in Madison Square Garden, 19th May 1962. Marilyn was there to sing Happy Birthday to JFK. The press made much of the breathy performance and the fact that Marilyn wore a dress that appeared see through. Whilst the two were pictured chatting after the show and both attending the after party (though not together) the two were not photographed together at any other stage of the night. Marilyn attended the gala and the after party with her ex-father in law, Isadore Miller and was dropped home at 4am, where Ralph Roberts was waiting to give her a massage. There have been claims of other meetings between the two, but these are the only ones that we can be sure of. Rumour: Marilyn was given the brush off by JFK and Robert Kennedy stepped in to stop her contacting him, which led to an affair between the two of them. According to Eunice Murray, Bobby Kennedy visited Marilyn at her Brentwood home on 24th June 1962. We don’t know why he would have visited, and it’s been suggested that Marilyn just wanted to show him around her new home, but this would seem quite odd unless they had a close relationship of some sort. /Understand you and Bobby are the new item! We all think you should come with him when he comes back East! Again, thanks for the note. Now, this note could be harmless enough, but, again, it seems odd that Robert’s sister would send a note like this were there not something in it. Smith, having been asked, has denied it was anything more than a joke and many fans believe her thinking the note is no basis for saying the two had an affair. Some say maybe Smith was discreetly letting Marilyn know that the affair was becoming more public than it should, and she needed to be more careful. Whatever the reasoning behind it, this note certainly seems to point to something more than just a casual acquaintance between RFK and Marilyn. Another factor to take into account is that Marilyn regularly called RFK at the Justice Department in 1962. People say this is because RFK had a movie in the works with Fox and she thought he could help her with getting rehired, but it would seem unlikely that Marilyn needed RFK’s help given that negotiations were ongoing at this time. Rumour: JFK and RFK had told Marilyn top secret/classified details about their work and they thought she had gotten out of control and they would have to stop her from revealing all. Truth: JFK had had many affairs, some long standing, and none of those women turned up dead, so why would he or RFK decide to kill the most famous actress in the world over a one night stand? It doesn’t make any sense whatsoever. Rumour: Robert Kennedy attended Marilyn’s home on the night she died to tell her to leave JFK alone and that their own affair was now over too. Truth: RFK couldn’t physically have been in LA the night Marilyn died. RFK was in San Francisco with his wife and children on 4th August 1962. The family were staying with Browns and spent the whole weekend with them. On the morning of 5th August, hours after Marilyn was discovered, RFK attended mass with his family. To suggest that RFK left his family on the night of 4th August, flew to Los Angeles, killed Marilyn, rushed off in the middle of the night and got back to San Francisco in time to attend mass the next day is ridiculous. Not only that, it would have been physically impossible. Truth: The “Red Diary” rumour, along with the Kennedy murder theory, came from a man named Robert Slatzer. Slatzer is discussed in more detail in our ‘Untrustworthy People’ section. Needless to say, Slatzer cannot be trusted and most of everything that he said was a scandalous and salacious lie. Rumour: Marilyn was planning to hold a press conference on 6th August 1962 telling the world that she was having an affair with both Kennedy brothers and reveal secrets they had told her. Truth: The rumour that Marilyn was planning to hold a press conference the week after she died also came from Slatzer, but that aside, it is an unlikely rumour too. First off, there is no evidence of any press conference. Marilyn held many press conferences during her career and they were all meticulously planned ahead. There is nothing to say she was holding a press conference and no one in the press knew anything about this. Marilyn was an extremely private person who didn’t tend to share her personal life with the public, other than to announce major life announcements (such as business moves, engagements, divorces etc). Marilyn never spoke salaciously about people or relationships. It would be completely out of character for her to do so. 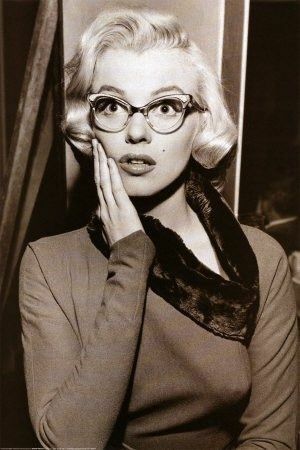 Marilyn, at the time of her death, was trying to defend her character against the onslaught from Fox following her being fired. It was extremely important to her that people see her side of events and feel sympathy for her situation. I think it’s highly unlikely that she would speak about anything that would damage her reputation further at that point, let alone announce that she had been sleeping with the President of the United States – and his brother – both married with children! Rumour: Schaefer Ambulance Company claim they got a call out to Marilyn’s Brentwood home and found her there in a very bad state but still alive. They claim that Ralph Greenson injected Marilyn with huge needle of adrenaline through her chest, to jumpstart her heart but ended up breaking the ribs in process and that it was at that point that Marilyn died. They then left the house and Marilyn’s body with Greenson still there. Truth: There are so many holes in this story, it’s unbelievable! If this were true, Marilyn’s ribs would have been noted as broken during her autopsy. Marilyn would have had massive bruising and a puncture mark were such a needle used. Why would the paramedics not bring her to hospital once she had died anyway? Why did they not ring the police at that point, if she had died that way? Do paramedics leave a dead body at the scene of death in these instances?? There was no call logged in the ambulance log book. There is no evidence that an ambulance was there. There was no sign that Marilyn was a) injected, and b) had her ribs broken. At autopsy Marilyn’s liver temperature was 83 degrees which tells us she passed away a couple of hours after James Hall of Schaefer’s claimed to have been there. This story is simply untrue. Rumour: The rumour goes that Eunice Murray was under the “power” of Dr. Greenson and was prepared to do anything to keep him happy. Allegedly Marilyn was used to having enemas to help keep her system clear, with Murray administering them for her. Marilyn was in the process of firing both Greenson and Murray, they found out and so, Greenson got Murray to make up a drug laced enema to give to Marilyn. Truth: There was no enema. Marilyn’s autopsy notes that she had solid formed stool in her lower bowel at the time of death. This means the enema theory is just not possible, as anything in her bowels would have been cleared out at that time if it were true. Rumour: This rumour ties in with the enema theory. Murray had given Marilyn an enema and the sheets had been soiled. Murray was washing sheets when the first officer arrived to try to cover up what really happened. Truth: It has come to light in recent years that Marilyn didn’t own a washing machine or dryer. Having spent years sending her washing out to a laundromat in New York, Marilyn continued to do so after moving into her new home in LA. In fact, a washer and dryer were on the list of items ordered that hadn’t arrived before her death and Marilyn had outstanding laundry bills of approximately $10,000 in 2017 dollars. Rumour: Veronica Hamel, an American actress, claimed to have bought Marilyn’s house in the 70’s and said she found wire taps/bugging cable all through the roof of the house, proving that the Mafia killed her. Truth: When you check the tax records for 12305 Fifth Helena Drive, it was not sold until the early 80’s, so Hamel couldn’t have bought the house when she said she did. As soon as she found this out her story changed to say she had actually bought it in the 80’s. I think that’s enough to discredit her right there! Wires found at the residence were no different to any normal telephone/electrical wires found in every residence.